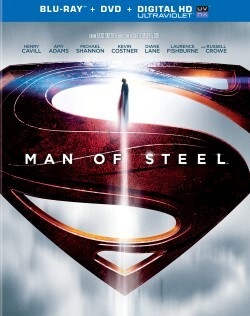 Movies.com > Movie News > Why Is a Random Special Feature for 'The Hobbit' on the 'Man of Steel' Blu-ray? 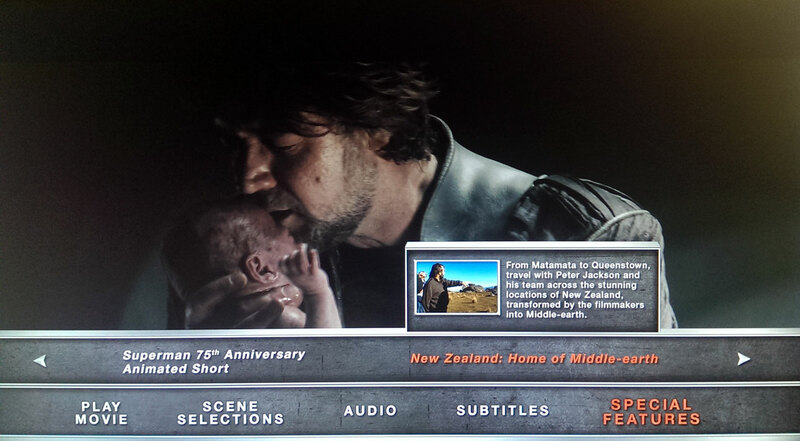 Why Is a Random Special Feature for 'The Hobbit' on the 'Man of Steel' Blu-ray? Man of Steel hits Blu-ray and DVD next week, and if you're a big fan of Superman, you are definitely going to want to dig into the several hours of special features Warner Bros. has put together for the release. And if you're like us, you're probably going to be a bit confused about one of those features. It's called "New Zealand: Home to Middle-earth." It's six minutes long, and it is a bunch of people from The Hobbit talking about how great New Zealand is as a country and as a filming location. So why the heck is it on the Man of Steel Blu-ray? We don't know. You might think it's there as a bit of cross promotion, but it doesn't actually contain any ad language for The Hobbit: An Unexpected Journey's recent Extended Edition Blu-ray release. It's not promoting this December's release of The Desolation of Smaug, either. It's literally Peter Jackson and a bunch of other cast and crew from an entirely different movie talking about how great it was to shoot in New Zealand-- a country that Man of Steel never even filmed in. And no, it's not a hidden Easter egg. It's sitting in the special features menu right next to that awesome Superman 75th Anniversary animated short film. So why is it on here? It wasn't listed on Warner Bros.' press release detailing what was on the set. Did someone working on the disc accidentally put this featurette on Man of Steel instead of The Hobbit? It's certainly possible, since manufacturing errors, while uncommon, aren't unheard of. When the Alien Quadrilogy first hit DVD back in the day, I came across a set where the disc for Alien: Resurrection was actually a disc for The Last of the Mohicans. The label was a big ole xenomorph, but the actual contents of the disc were all for The Last of the Mohicans. Did something similar happen here? It'd be funny if it did. And it might make this set a novelty if they ever issue a new version in the future without it. Or maybe it's just a bit of very random cross promotion, though if that is the case, you'd think they'd use a featurette that was a bit more thrilling than a celebration of New Zealand's geology. And, yes, we did ask Warner Bros. about its inclusion and were told they had no comment, so take that as you will. As for the other special features that are actually related to Man of Steel, we've got to say we're pretty impressed with the package Warner Bros. put together. The first disc contains a little over an hour of material about the history of Superman, and a few visual effects breakdowns, but the real star here is the second disc. That's where you'll find "Journey of Discovery: Creating Man of Steel," which is the entire feature film played side by side with cast interviews and tons of on-set footage. If you've seen the similar features on 300 and Watchmen (back when they were called Maximum Movie Mode, though Warner Bros. dropped that label for some reason), you know these Zack Snyder-led features do a superb job of peeling back the film and showing you how the whole thing was done from beginning to end.